World no. 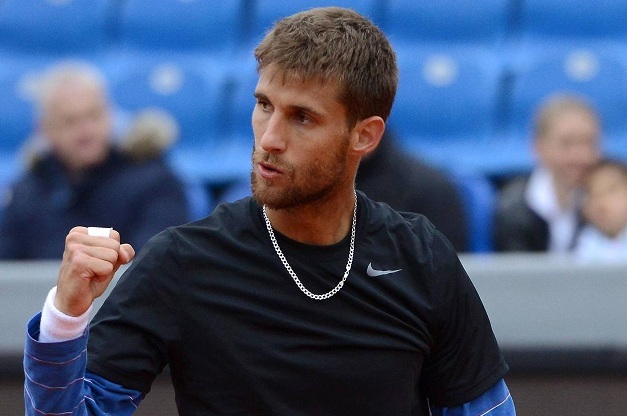 111 Martin Klizan, who overcame defending champion Tommy Haas in the semi-final, capped off his great performances at the BMW Open 2014 clay-court tournament in Munich as he rallied from behind against top seed Fabio Fognini of Italy this Sunday to obtain the second carrier title. 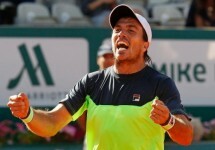 He seized the previous one in St. Petersburg two years ago by prevailing over his today’s opponent in straight sets. Their head-to-head record now stands at 3-2 in the favor of the Italian. 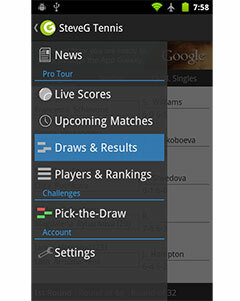 The opening set at the Centre court in the Bavarian capital went according to the favorite’s plans as he clinched three consecutive breaks in the opening stages, whilst only dropping one serve himself. The Slovak qualifier received treatment at 1-4, yet nothing could stop Fognini from wrapping up the set in first attempt. However, the Munich crowd saw a twist in the plot in the second set which started with the underdog escaping to 3-0 before doubling the one break lead to make it 5-1. Klizan leveled the terms with ease by converting on the first set point. He marched on in the decider where he managed to extend his run to seven straight games. Demoralized Fognini could not recover from the knock-down, especially after wasting a couple of chances to peg one break back in the sixth game. Serving for the championship, the Slovak utilized the very first match point to complete his wonderful comeback to win 2-6, 6-1, 6-2 and lift the trophy at the ATP World Tour 250 event. Klizan scored five aces (Fognini 4) and conceded the same number of unforced errors, whilst winning 71% of first serve rallies. Most importantly, he capitalized on all five break point opportunities he had created over the course of the 89-minute long encounter. He also earned €77,315 in prize money.